Yet another riff on forests, soils and the like. Playing around here with a few components, flavours and presentation ideas, based – rather improbably – on the The Forest of Dean. 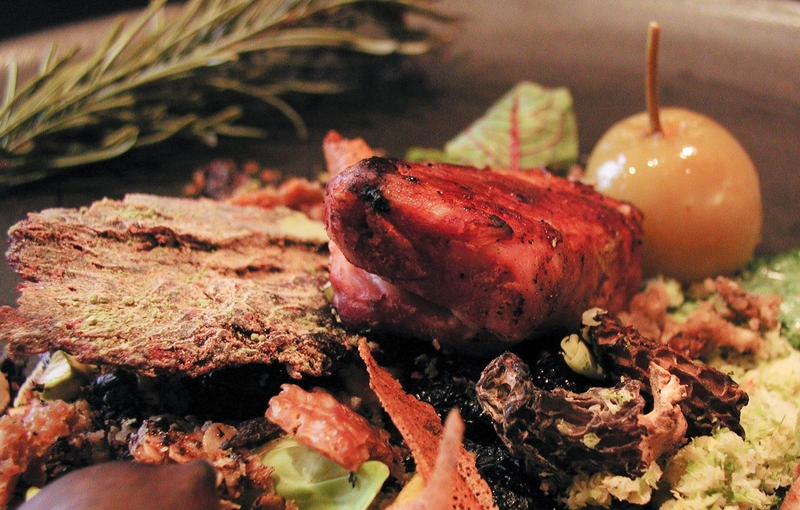 Inspiration came from the genuinely wild boar now being supplied over at Restaurant Allium. 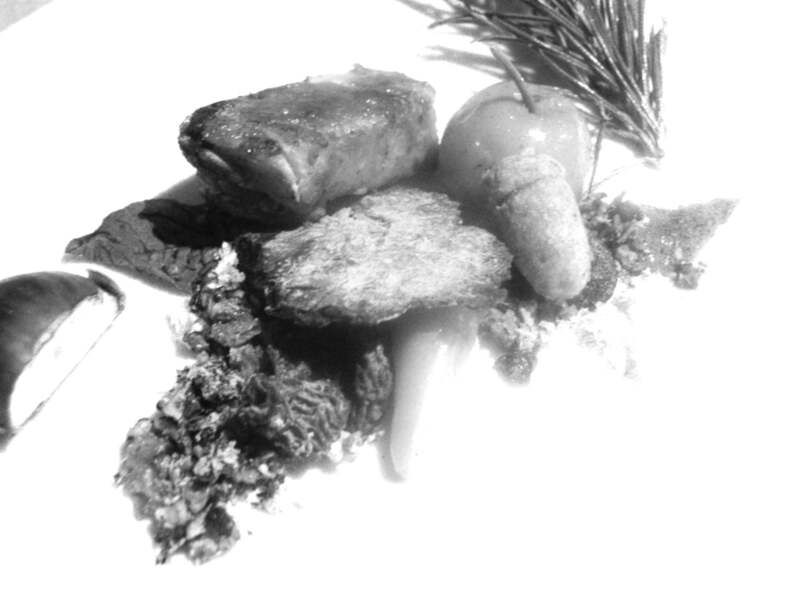 Winter Woodland: chestnut+applewood smoked 36-hour rib with sticky birch sauce, oak-flavoured acorn, mimetic bark, herb mousseline, pickled crab apple, yeast+verjus+nut soil, morel + sorrel, roast chestnut cream, brassica moss.